Join Streaming Media Magazine editor, Eric Schumacher-Rassmusen, and emcee, Jose Castillo of ThinkJose, as we celebrate the winners of the 8th annual Streaming Media Readers' Choice Awards. 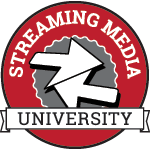 In addition to the awards ceremony taking place at this year's Streaming Media West conference the winners will be featured in an article in Streaming Media magazine and on StreamingMedia.com, as well as in our Streaming Media Xtra newsletter. This year's awards are sponsored by Ustream, Elemental, Epiphan, and Teradek. This year, Yahoo was selected by the NFL to stream the Buffalo Bills vs. Jacksonville Jaguars game from London, live and for free. This marked the first time an NFL game was delivered only via OTT outside of the teams' local markets. Omer's presentation will describe Yahoo's platform, its ability to select CDNs according to stream quality and differentiate quality per device, along with collaboration with the ISPs, performance metrics, ABR, and other details of how Yahoo pulled off the live event. We often take for granted the cornerstone that all content services hinge on, which is DRM. Long considered a solved problem, there are significant technology shifts underway that are poised to disrupt the status quo and potentially require reengineering, or even re-architecture, of license servers on the back-end and apps on the front-end. This session discusses the impact of EME and HTML5 and what it means for service providers and app developers. Learn the impact of mandatory hardware-based DRM protection and its impact on OEMs and content owners. In this session, industry experts share how they've been able to launch live-to-VOD services without a complete overhaul of infrastructure by applying software-defined video solutions to easily migrate from one type of scenario to another. Panelists describe how they use OTT workflows to create catch-up TV assets across existing broadband infrastructures. Among other tips, they share how they've employed JIT packaging for workflow simplification, cost reduction, and content production and how they're combining embedded encryption and decryption with JIT DRM wrapping. As operators transition to all-IP they are looking at opportunities to conserve access network bandwidth. Multicast-assisted ABR (M-ABR) is a low cost and easy to deploy solution that allows operators to see multicast gains on all in-home devices leveraging their TV Everywhere infrastructure. This panel, organized by CableLabs, will discuss how M-ABR can be deployed over any multicast-capable access network and effectively extends the operator's CDN into the home by caching content on the gateway. Learn how multicast-assisted ABR allows operators to transition to all-IP, which enables it to be used in the short-term or as a long-term solution to bandwidth conservation on the access network. While there has been much attention placed on new revenue streams created from the move to OTT content delivery, there has been less discussion of how the move to OTT requires a shift in the way publishers and syndicators conduct business. No longer are publishers going to rely on traditional syndication deals centered around content or catalogs, but rather the syndication of the consumer viewing experience. Join Conviva’s Chief Strategy Officer, Keith Zubchevich, where he’ll discuss Experience Syndication and the future of broadcast consumption. See how to take any 4K camera and desktop encoding software as input, and then use Wowza technologies to create multiple quality levels to support adaptive bitrate streaming, record the video for later on-demand playback, and deliver the live feed with global any-screen streaming using H.264, H.265, or VP9. LS201 - Panel: Now That You’ve Got the Viewers, How Do You Make Them Stay? Today’s live streaming viewers are savvy and fickle, and while some tentpole events might be unmissable, you still need to make sure your user experience is compelling enough to keep viewers watching. By putting control in the hands of viewers via interactive, easy-to-use players; giving them the tools to comment and share clips; and most of all, delivering a compelling viewing experience from start to finish, you’ll differentiate your content from the rest of the pack. This session discusses how TV Everywhere and OTT providers are adapting their product roadmaps to meet changing consumer behavior. The discussion focuses on how to manage PC-centric services that are in decline, mobile services that generate high traffic but low monetization, and fragmented connected TV devices where there is no clear winner. We discuss apps vs. web, single vs. multiple apps, hybrid billing models, in-app upgrades, and why competition is a good thing. Stream stitching and server-side ad insertion are picking up steam as approaches that let content owners beat ad blockers on the desktop and provide better ad delivery on the mobile web-among other benefits. However, the technology is still early in its adoption curve, with a lot of innovation in the works to drive its deployment across more devices and use cases. This session reviews the data to see where server-side ad insertion and stitching have been helpful to publishers and broadcasters and explore how it is evolving to support analytics, interactivity, programmatic and other components of online video advertising. For TV Everywhere to reach adoption, the current authentication process needs be made as user friendly as possible, removing any obstacle standing between consumers and their content viewing experience. In this strategic session, we look at the recommended best practices that the OATC (Open Authentication Technology Committee) has proposed to achieve such Friction-free authentication and discuss a set of guidelines that aim to create a seamless user experience in the first instance. Live event webcasting/streaming & recording doesn't have to be complicated. David Kirk will demonstrate how to set up an engaging & dynamic live streaming environment using two simple cameras and a laptop paired with the Epiphan Pearl. What are the differences between video as a window on the world and video in a virtual reality headset? Online media and services leaders increasingly are finding that hardware-based infrastructures and other traditional approaches are obstacles when it comes to keeping up with consumer demand and assuring future scaling. During this informal fireside chat, experts from IGN Entertainment, Elemental, and AWS will offer insights and customer deployment anecdotes into the virtualized, software-defined video infrastructures needed to power these experiences. From the preseason to the Super Bowl, the NFL is making it easy for fans to watch all the action wherever they want, on the device of their choice. The league has been offering live streaming of games to all major connected OTT and mobile devices. This presentation offers a look at how the NFL has embraced digital as a complement to its successful broadcast game. As Microsoft's new Windows 10 operating system begins rolling out to all their devices, what is the impact to media apps, media consumption, and content owners? Client features such as Cortana and system-level notifications combined with new Azure services hope to enable more intelligent, more personalized viewing experiences. This session discusses what the adoption might look like, what new features will be of interest to consumers, and how Windows 10 enables a deeper intelligence in the apps we use to watch our content. Whether you want to broadcast a company-wide meeting or new employee training, streaming it through your internal network saves on time, travel costs and resources. This session dives into architectures that are commonly used for distributing streams to all screens within an enterprise/EDU setting, plus discuss reaching remote and mobile workers. Walk away with recommendations on achieving the best-possible quality and broadest audience reach, along with best practices and lessons learned. 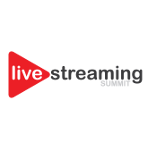 Join us for this information-packed session on building an internal streaming solution to fit your business needs. YouTube and Vine stars are rewriting the rules on how audiences discover and engage with content, leading to a swath of non-traditional pathways for exploration by brands, marketers, and fellow creators. It is a world devoid of the gatekeeping that dominates traditional media, allowing creators and brands to build direct relationships with the most engaged consumers. With that opportunity comes all the challenges of social media (community management, publishing strategy), plus an added layer of responsibility to the audience members themselves. In this session, successful creators and business leaders discuss how to work with video stars, what advertising means in this new space, and how the deep connection between stars and their superfans drives engagement with brands. This presentation will review connectivity options for live streaming cameras including HD-SDI, HDMI, USB 3.0, Network and CVBS. Now that we are streaming video, we will discuss camera control options including: VISCA over IP, RS-232, RS-485, ONVIF, TCP/UDP and UVC. The final steps in the live streaming workflow—delivery and analytics—are in some ways the most vexing, but they’re crucial measuring the success of your event or channel. Analytics come in all shapes and sizes, from quality of experience (including customer-facing players and authentication tools) to quality of service (including live event CDN redundancy and post-event analytics). We explore all of these areas in this informative session. Dylan Armajani, Video Consultant - Conviva, Inc. It goes without saying that consumption of video is changing as new platforms, formats, and industry dynamics evolve. From the dawn of 4K to Snapchat Discover, the quality, quantity, and sheer variety of video experiences are growing every day. This panel looks at the future of broadcast and video services in a multi-screen world, attempting to peer in to the near future to explore issues both at the fore, such as 4K, and still on the fringe, such as virtual reality. Viewers today demand instant-on, HD streaming of live events. What will they demand in the future? 4K? 8K? HDR? VR? What role will services such as Periscope and live streaming on Facebook play? Our panel of experts bring their knowledge of the past and present to bear as they make predictions about what viewers will expect in five or ten years, and which content types, technologies, and monetization models the live streaming industry must embrace to meet those expectations. Watch the 2015 preview below or see videos from previous Streaming Media events by clicking here.